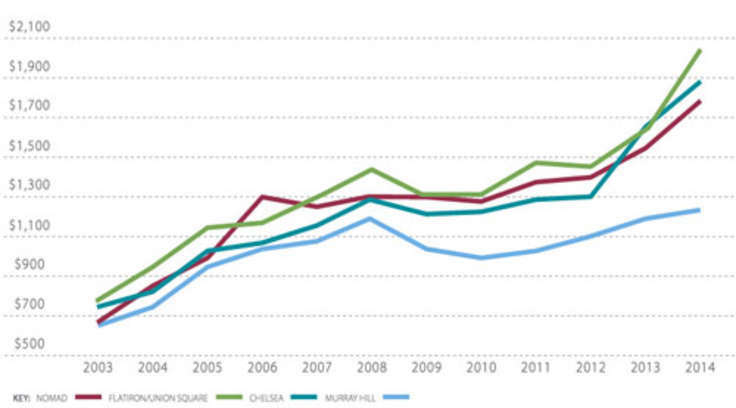 Following a rezoning in 2008, residential development in the Dutch Kills section of Long Island City is heating up. 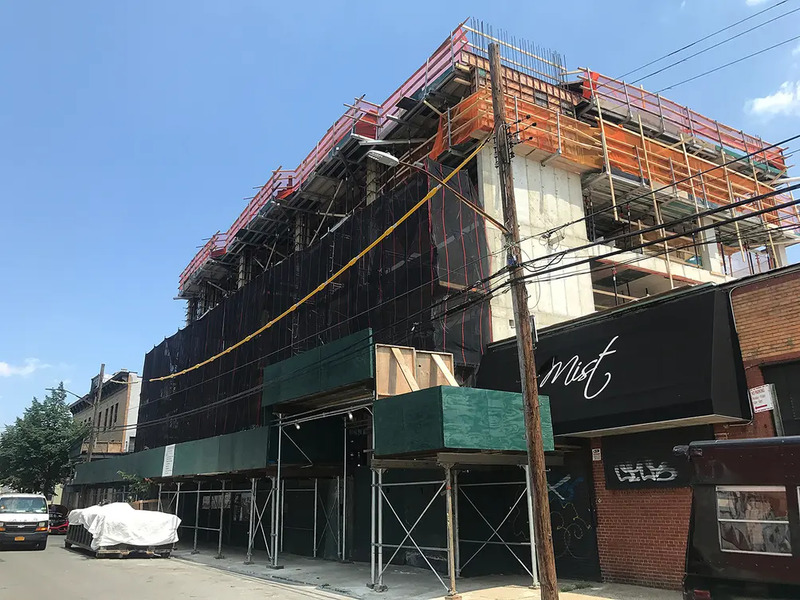 At 37-21 32nd Street and 37-14 33rd Street, a two-building complex developed by Eastone Equities is more than halfway up. 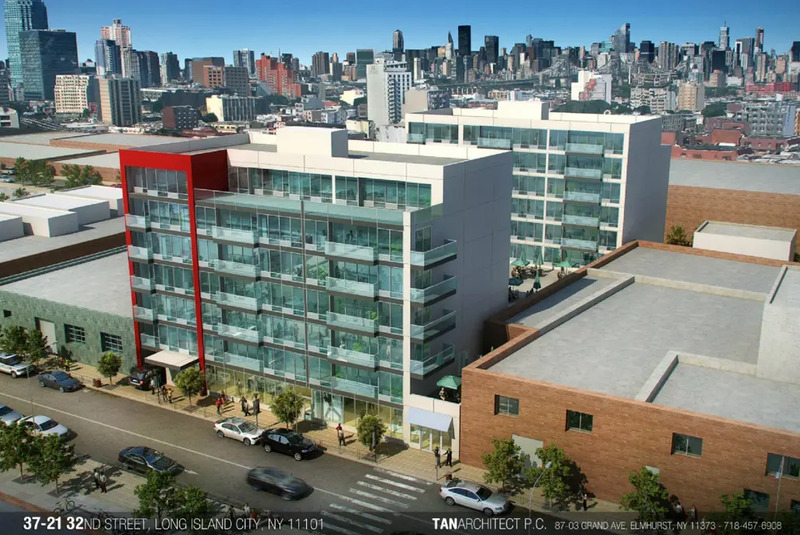 It will house ground-level commercial space and a total of 89 units spread through the two seven-story buildings designed by Flushing-based Tan Architect. Amenities will include on-site parking, a bike room, lounge, and outdoor recreation space. 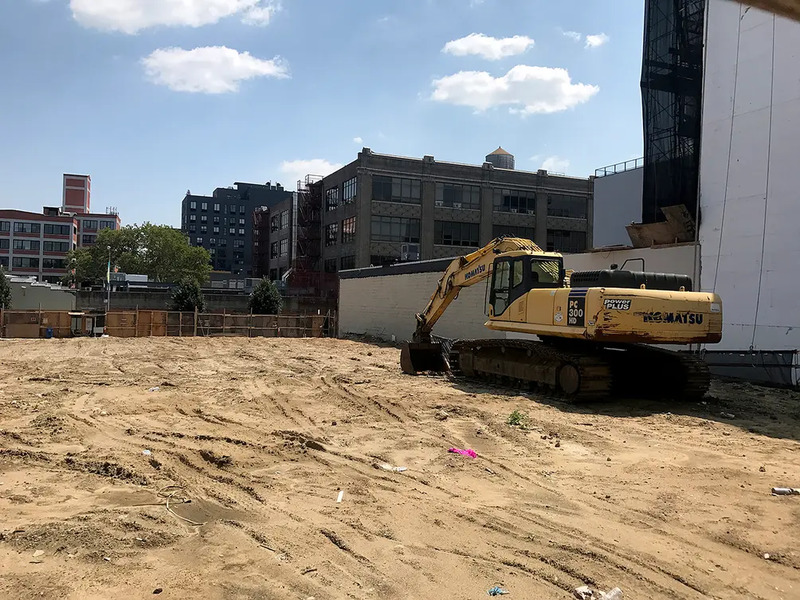 A block away, the site has been cleared for LIC Commons, another two-building condominium complex planned for 37-14 34th Street. Both seven-story buildings will be connected by a single-story structure with a recreational roof deck. Additional amenities will include a laundry room in both towers and on-site parking and a bike room to be shared by all. 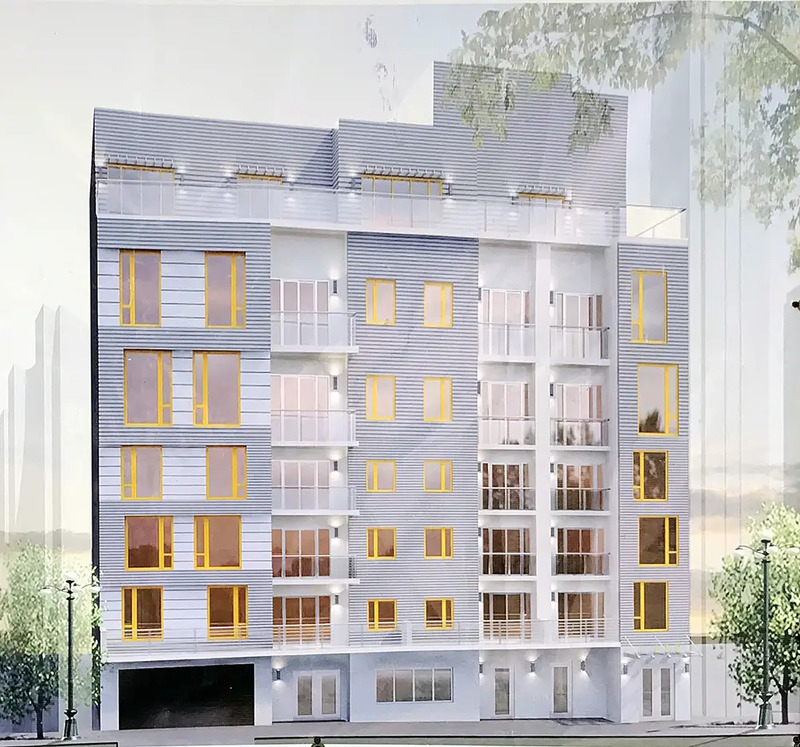 A rendering released by New Empire Real Estate Development shows that all 80 studio through two-bedroom homes will have oversized windows, and several will have private balconies. Completion is estimated for 2019. Both new projects are rising just a few blocks away from the 36th Street subway station, which makes for a half-hour commute to Midtown Manhattan. Local attractions include the Museum of the Moving Image, Melrose Ballroom, and The Garden at Studio Square. 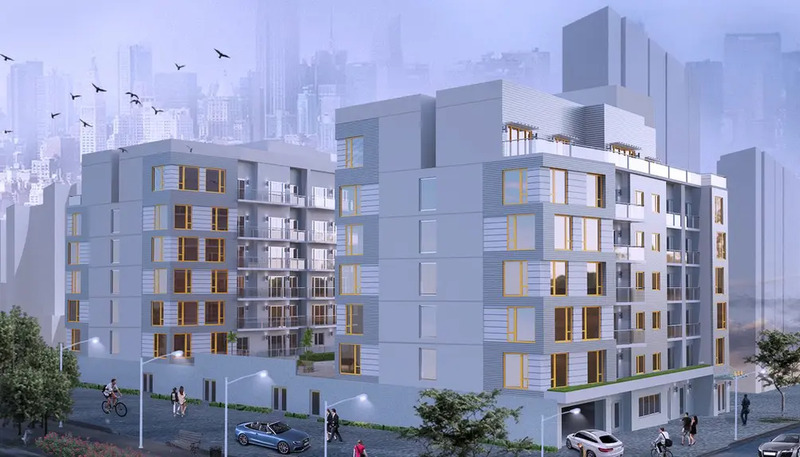 Neither project has yet filed an offering plan, but CityRealty data reports that the median price of a Long Island City condo is $1.094 million.